Future technology touchscreen interface. Girl touching screen interface in hi-tech interior. 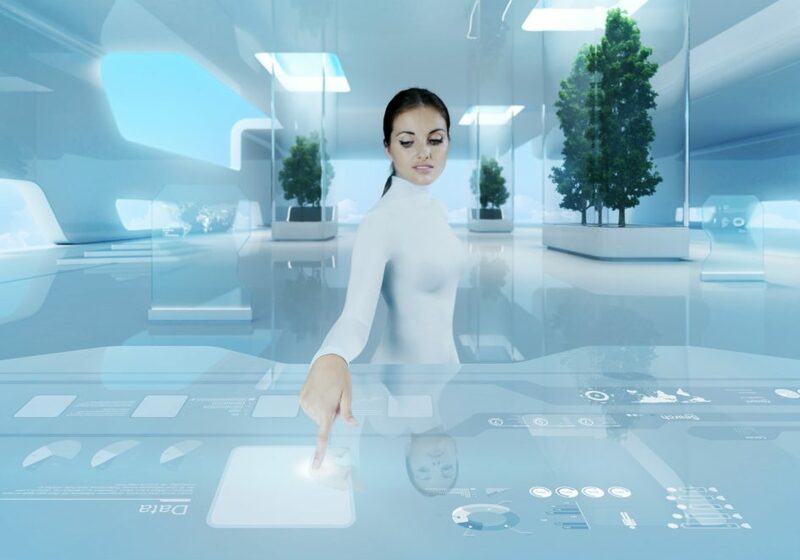 Business lady pressing virtual button in futuristic office. (Provo, UT) Building future communities has had a lot of talk, and a lot of trials, a lot of experiments and more. At the Transhuman House we have been building out infrastructure, building community locally and documenting other groups and projects. One near by project is focused on high tech high-density cities that have ‘condo’s that have rooms that evolve into different spaces at the owners request or the bio cell research and the aquaculture lab. The Transhuman House funded by the Foundation is asking for people that want to be residents at the Transhuman House. If you really want to make a difference come to the Transhuman House and help create, design and build a Post Human Future. David has an exceptional record of accomplishment as a recognized technologist with deep experience as a cross discipline team leader in the computer science engineering arena. Dave’s specialty is to bring compelling new technologies to market in dynamic, evolving environments with a particular emphasis on the mobile space. David is a futurist who has a unique ability to discern emergent trends in technology and identify meaningful use cases that not only deliver commercial benefit but improve the total User Experience. David was one of the very first to recognize the potentiality of Cloud Services and how Augmented Reality would significantly improve how people experience cutting edge technology. Through his tech insight and deft design skill David has worked directly with industry leaders including Bill Gates, Steve Ballmer, and Ray Ozzie to bring the most decisive technologies from ideation to market. He is thrilled to bring more than twenty years Microsoft experience to everything he does.